Noosa Civic is the premium shopping destination on the northern end of the Sunshine Coast. The Centre serves Noosa and surrounding areas and is ideally positioned in the region’s central business district, less than 10 minutes from Noosa’s famous Hastings street, and just 16 minutes East of the M1. With Big W, Woolworths and 100 specialty stores including a homemaker offer and business/commercial precinct, the Centre is the first choice for locals who enjoy the relaxed, single level shopping experience. 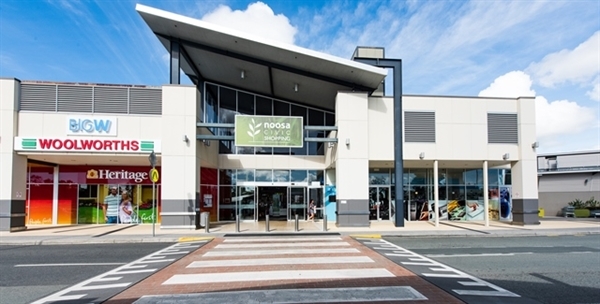 Noosa Civic opened on October 12th 2006 with majors Woolworths and Big W and 100 specialty stores. The Centre featured an ideal mix of local boutiques and major national brands and for the first time provided locals with access to a one stop shopping destination that included a full line discount department store. The Centre still maintains this retailer mix adding to its national and boutique brands each year with retailer additions including W.Lane, Typo, Professionail, City Beach, Bras n Things, and Lorna Jane. In 2008, the Centre added a medical Centre, Noosa Civic Family Practice. Most recently the Centre added homewares retailer Pillow Talk, local newsagency, The Lucky Charm, and its first leisure offer Anytime Fitness. Additionally the centre welcomed well known brands Pet Barn, Specsavers and Strandbags. Review the latest additions to the Noosa Civic retail mix including: Ally Fashion, Elegant Eyebrows, Empire Barber Lounge, Escape Travel and Poolwerx. Find out where these stores are located in Centre here.